Aston Martin required translation and localisation of product brochures for a number of key markets ahead of major automotive industry expos. 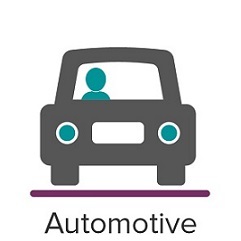 We have a vast amount of experience in translating and localising content for the automotive industry. Our clients include Jaguar Land Rover, Aston Martin, John Guest, Tesla Motors, Tool Connection, UKIP Media & Events, Delphi, HORIBA MIRA, Eaton, Impetus Automotive and Integral Powertrain. This means we have a wealth of relevant experience to draw on when handling these kinds of specialist technical translation projects required by automotive clients, including ready-made teams of experienced linguists. Our project managers provide a single point of contact throughout the translation and localisation process, overseeing the entire project and reporting directly to our clients. This is important for building great communication between our team and yours, and ensuring a smooth translation process. We always assign professional, native-speaking translators to each and every project. In the case of Aston Martin, we hand-picked translators with specialist technical knowledge of the automotive industry. Without an excellent understanding of terminology used within the industry in a specific market, your translation project will undoubtedly run into problems. With Aston Martin the brief was to translate and localise luxury brand literature, chock full of beautifully written creative copy and marketing messages, into a range of key languages. This meant adding a further element to the translation team: linguists who understand how to write and translate compelling marketing copy for their market. Ensuring the right style and tone is particularly important for luxury brands such as Aston Martin, therefore we looked for technical translators who also possessed the creative flair necessary to develop engaging and effective copy. We’ve worked with Aston Martin for a number of years and have been creating a unique translation memory for this client. This ensures consistency across their marketing communications, and also reduces cost. To find out more about translation memory software, click here. Translating marketing brochures is not just about the words! Page layout, effective use of headings, bullet points, tables, imagery, fonts, quotes etc. are just as important. This is why we also involve experienced artworking professionals to ensure translated copy not only reads well, but looks great too. With Aston Martin we engaged their in-market teams in the translation process to provide expert advice to our linguists. They were on hand to answer questions, feedback recommendations and approve translated copy. Aston Martin’s artworked brochures were then given final approval using our innovative Online Review Tool.